Future of Charity: Prepare Ye the Way of the Lord! 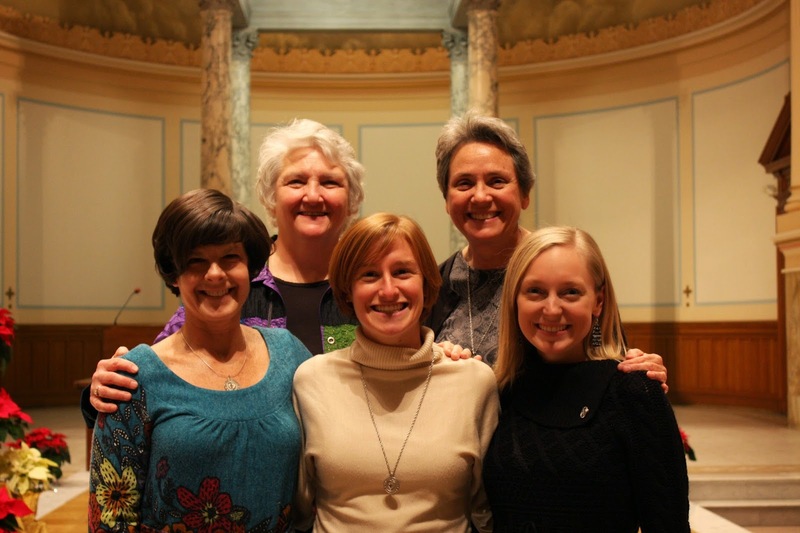 On January 11th, I was received into the Canonical Novitiate with the Sisters of Charity of Cincinnati. This joyous celebration coincidentally coincided with the Feast of the Baptism of the Lord. Just hours away from becoming Sister Annie, I sat in the unpacked, cluttered bedroom of my new community home and reflected on the profound call of Baptism. I re-read the day’s Gospel, which paints the picture of Jesus’ Baptism. I put on some music to help guide my prayer; a song that I had been praying with over the past month – “Prepare Ye the Way of the Lord” from the musical Godspell. The lyrics simply repeat the phrase, ‘Prepare ye the way of the Lord.’ As I listened to the music, I closed my eyes and began imagining the scene of Jesus’ Baptism. I pictured the crowds parting as Jesus approached John on the banks of the Jordan. I pictured Jesus and John both smiling, anticipating that something great was about to happened. I imagined myself going with Jesus under the water, and as the music swelled, breaking through the water’s surface and gasping in a deep breath of new life. And then a voice, ‘You are my beloved; with you I am well pleased’. At the moment of Baptism, we are changed, and things will never be the same again. My entrance into the Novitiate was celebrated with an evening prayer service. As the deep sounds of a single cello filled the air, I processed into the chapel along side four inspiring women who have and continue to accompany me on my discernment journey: community President S. Joan Cook, Councilor S. Lois Goettke, my former Affiliate Director S. Janet Gildea, and my soon-to-be Novice Director S. Donna Steffen. After stating my commitment to embrace the year of Canonical Novitiate as a time of prayer, study, and a deepening awareness of the living God; I received the community’s Constitutions and medal and was proclaimed Sister Anne Klapheke. I looked out to the sea of faces beaming back at me: many Sisters, my family, my Affiliate community who has nurtured me over this past year, and my Novitiate community who is ready to welcome me into their home and hearts. I was overcome with love, joy and gratitude. The heavens in front of me opened up, and through this community God spoke, "Annie, you are beloved; and with you I am well pleased." Just like the Baptism moment, I am now standing at the threshold of a new beginning and a new life. My parents said ‘yes’ for me when I was baptized as an infant. Now, I choose to say ‘yes’ for myself to God’s invitation: an invitation to step into the unknown with trust and faith, an invitation to encounter the person and teachings of Jesus Christ, an invitation to immerse myself in the history and charism of the Sisters of Charity, and an invitation to sink my roots deeper into my loving God. 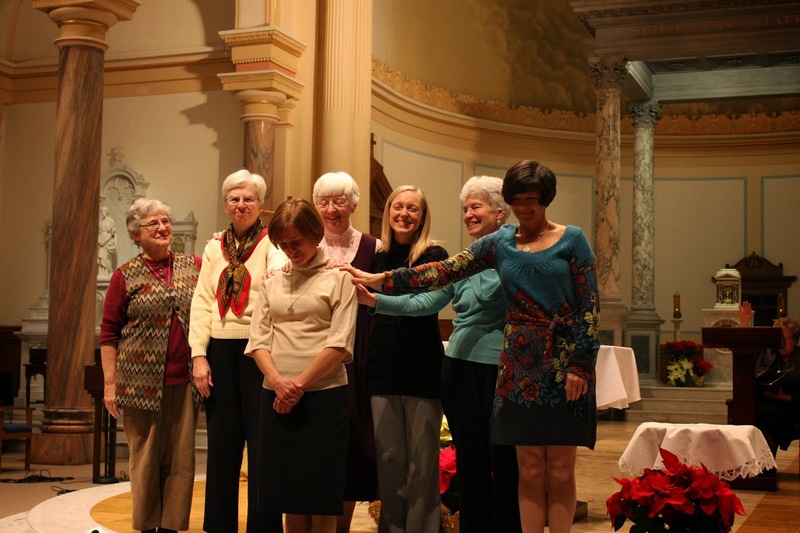 This year of Canonical Novitiate will be dedicated to the inner work that is necessary to prepare for becoming a vowed member of the Sisters of Charity, if God so wills. As I think about the year ahead, the lyrics “prepare ye the way of the Lord” echo through my head. I imagine a space in my inner self hollowing out to create room for the graces that will fill me. The clearing of the space within me will be supported by the clearing of the spaces around me. My day-to-day life will be slower, quieter, and more contemplative in order to "prepare the way of the Lord." This does not mean that I will be living a life of solemn isolation. Rather, I will spend my days relishing in the places where I find God’s presence. For me, this includes hiking in the woods, watching the sun rise, meditating on Scripture, celebrating Mass in our Motherhouse chapel, sharing meals and laughter with my community, spending quality time with family and friends, and soaking up the wisdom of older Sisters. I feel hopeful, excited and joyful as I begin my new life as a novice. But most importantly I feel beloved; beloved by the members of my community, both past and present, and beloved by my God who walks each day with me on this journey.